OE Cam is pleased to announce that we will be co-hosting a breakfast seminar along with One Nucleus and Euromedica on Monday 1st February 2016 at Granta Park in Cambridge. Conventional talent alone is no longer sufficient to propel businesses forward and deliver innovation in Life Science. We need ‘Disruptive Talent’ – individuals who think and act differently to challenge conventional wisdom and tenaciously find new and better ways of doing things. But while such talent has the potential to develop game-changing business ideas, they can be difficult to work with and integrate into any team. Those ‘maverick’ characteristics that give them their strength can also be the source of unproductive or derailing behaviours. Our meeting brings together talent management experts and HR specialists to discuss the main challenges in attracting, retaining and developing disruptive talent. This will be a highly interactive session with informal panel debate and practical case studies. 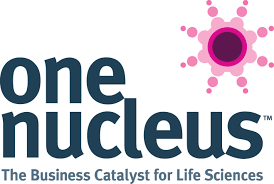 This event is invitation-only, but if you are interested in attending, please email aline@onenucleus.com or phone Helen Pybus on 01223 269009 for further details.